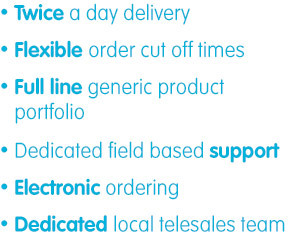 At the DE Group, we are 100% focused on providing the very best service and value to independent community pharmacies throughout the UK. We do not own a chain of retail pharmacies and therefore do not have any conflict of interest when supplying community pharmacy, nor do we compete on the High Street with our customers. 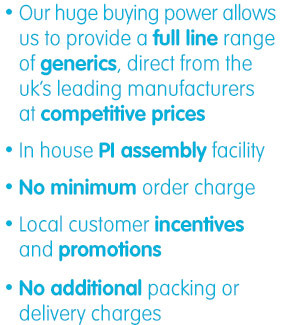 With over 4000 customers trading with the DE Group on a daily basis, we are the UK’s largest independent pharmaceutical wholesaler offering nationwide twice a day delivery.